Together we will talk one-on-one, about your feelings of resistance and limiting beliefs you’ve been keeping active—and would like to release. * Payment is made through PayPal. In either option, I can help you find relief, gain more clarity, and guide you back into alignment. When you feel better, it becomes easier to shift your attention from what you don’t want to what you do want. The call will be made through Discord or Skype (Audio only). To book an appointment, e-mail me at: BrianDFreedman@gmail.com. Please include what you would like to discuss during our session and what time(s) you prefer. "Brian Freedman is positive, uplifting and helpful. In his coaching he helped me to see things in a more 'inside-out' and empowering way. With his insight I have found some great ways to flip negative thoughts, without creating more resistance and a better idea of a way to love myself. He is professional, caring and focused." To help people understand the Law of Attraction and how they can allow their desires to manifest in their lives by soothing themselves, releasing resistance, focusing on what they want and feeling good. I am a guide, here to help empower people by reminding them that they are all powerful, deliberate creators, and that you can be, do or have anything you desire. It's simply a matter of focus, feeling good, alignment and allowing. Brian Freedman guides people to align their feelings and beliefs with themselves and others (noting that the relationship you have with others is a mirror reflection of the relationship you have with yourself). He establishes the connection between the thoughts you think and the emotions you feel—focusing on enhancing your emotional awareness—helping you to feel better. Started this discussion. Last reply by Dorothy on Tuesday. Started this discussion. Last reply by ∞Infinity∞ Apr 9. Started this discussion. Last reply by Dorothy Apr 4. Started this discussion. Last reply by Limitless Mar 28. Started this discussion. Last reply by Brian Freedman Jan 11. Started this discussion. Last reply by Brian Freedman Nov 4, 2018. Started this discussion. Last reply by Cocoacure Mar 20. Started this discussion. Last reply by Graysen Jul 5, 2018. Started this discussion. Last reply by Dorothy Jun 18, 2018. "Perfect & incredibly helpful, thank you Brian!" "You don’t lack trust. You always trust something. You have more trust in what you don’t want than trust in what you do want. You don’t have to try to trust in what you want. When you focus on any thoughts that help you feel…"
"Absolutely, I agree with you. However your title says "55x5 Method Does Not Work" and for me it definitely did help to create some things." "When I say it doesn’t work, I mean it doesn’t do the manifesting. You do the manifesting; you get all the credit. The method helped you increase your expectation so you could allow, but it was all with your power, not the power of the…"
"Sorry Brian, I've used it with great success the 55x5 method and it worked for me. I didn't necessarily enjoy it 100% either but it proved to be effective - so your statement that it does not work is plain incorrect for me. …"
Brian Freedman replied to David's discussion Question about vibrations and Buffer of Time. "“A vibration is a signal that is emitted through thought and emotion.” It’s emitted through thought. Your emotion indicates what vibration you are emitting: What you want (you feel better) or what you don’t want (you feel…"
"Thank you so much! This was very helpful ." "That's a good point when you said we should remain detached from the outcome and attached to the satisfaction. That is very important because the universe does not know the difference between a thought and an actual thing. It is giving you what…"
"“We spend too much time thinking about our desire, that makes us more attached to it.” It’s when people spend so much time thinking about the lack of their desire, and it hasn’t happened, that makes them more attached. If…"
"I agree! 100%!!! We spend too much time thinking about our desire, that makes us more attached to it. We need to focus on other things as well in order to let the universe do its job. Once we expect, we do not need to constantly think about…"
Brian, You are pure gold :). i dont know how it came across, but i was really very grateful to u, though, like i said, i was quite nervous, so may have put my foot in it :O totally unintentional, and i do hope u know what i meant! I have read all your posts and tried to implement those things but its being very difficult for me to let go of the desperation to get my ex back. And since past 2 weeks when it seems really very difficult that he might come back, I feel shattered. Now its like I always need positive words from people to keep me lifted uo. You are a great councellor, pls suggest my what should I do. My life seems going in no direction. I feel there is so much uncertainty. I really love him. It has been 2 years that he left but I still haven't got over him and I think I will never be able to. But I don't wanna live like this. Pls help me out. Hey.. I love your thoughts and posts. They are so heart warming and makes feel so good. I need your advice. Can you pls help me out? I want a relationship with a perfect guy..can u help me and guide me how to do it? Hi Brian, I have been away from the site for many years and I have missed many friends who are no longer here but rejoice that so many still are. But I was delighted to find you and just love and enjoy reading your posts and your very intuitive replies. 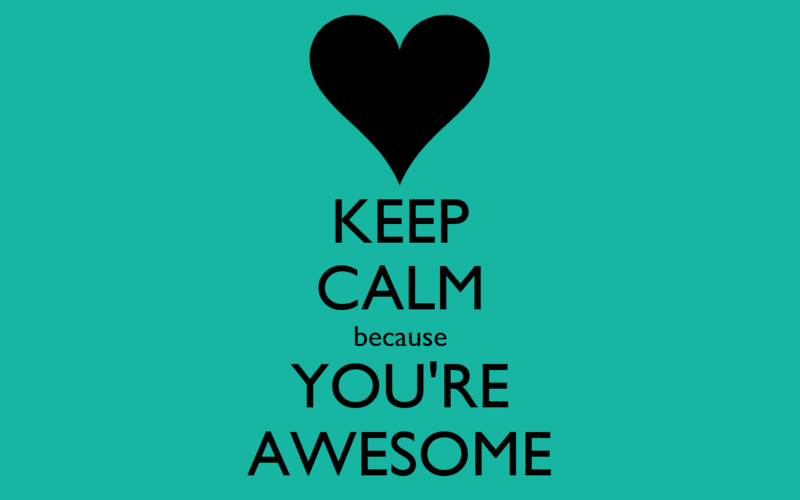 You are indeed Awesome, long may it last ! Hi Brian, I've been meaning to say this for some time and I'm finally getting to it, but you give such valuable insight to this forum. You are so intuitive and your replies are so on point to the person you are writing to. Even if it's something I'm not exactly interested in, I love reading what you write. Glad you're here and I'm very fortunate to learn from you.